This Valentine's day, make sure to get far from the traffic and city life. 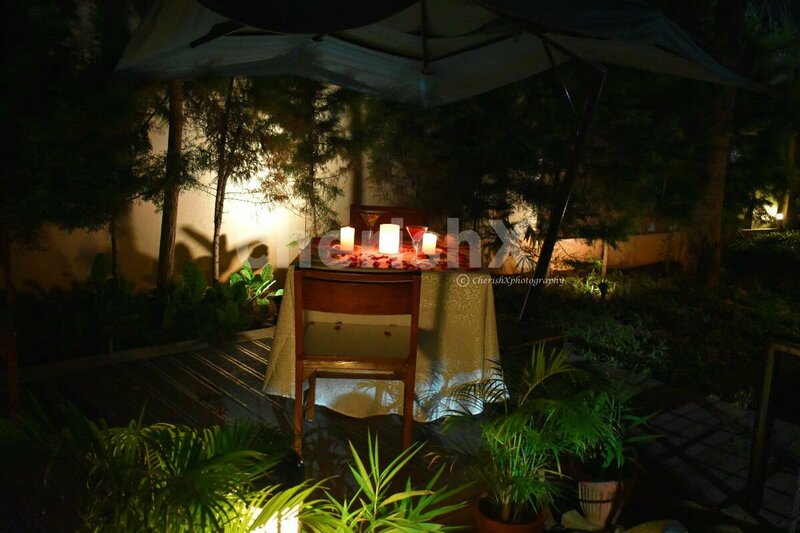 Soak in the ambient music in a dining space that is elegant in a minimalist sort of way. 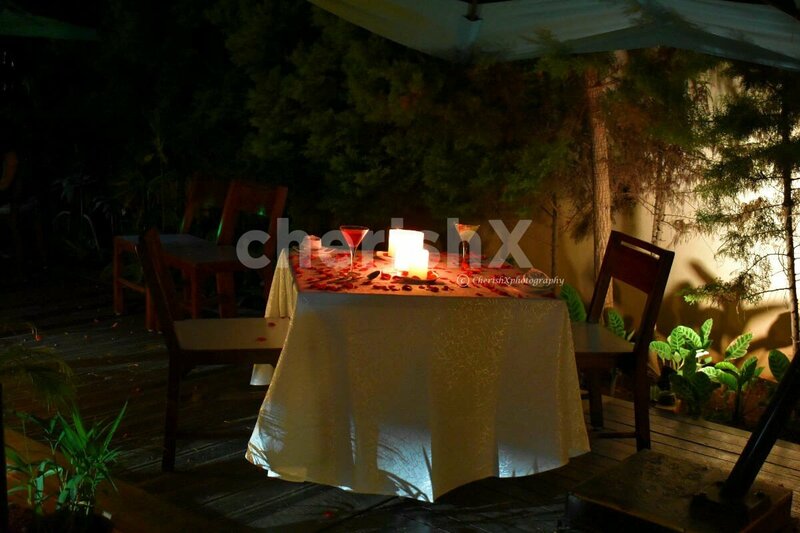 With your loved one make another perfect memory to cherish for years to come. 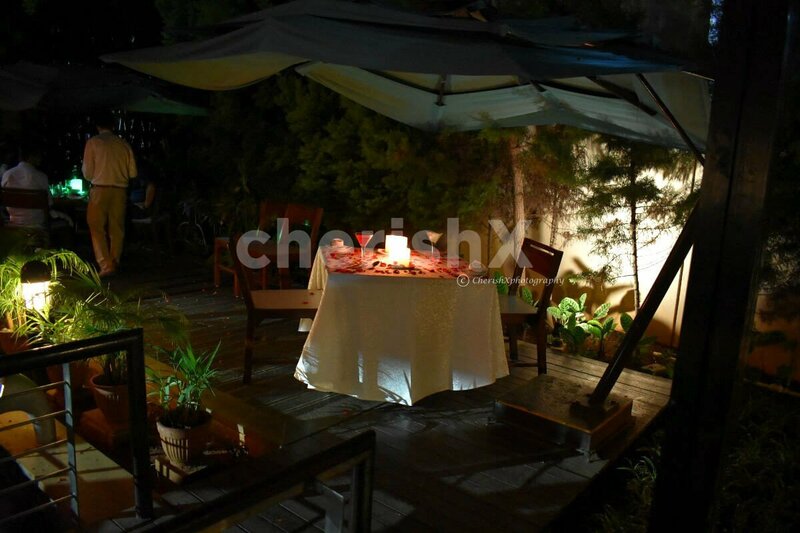 Dig into the asian and european delicacies over a tête-à-tête with your partner. The hotel is constructed of wood and glass in a very modern and stylish way. 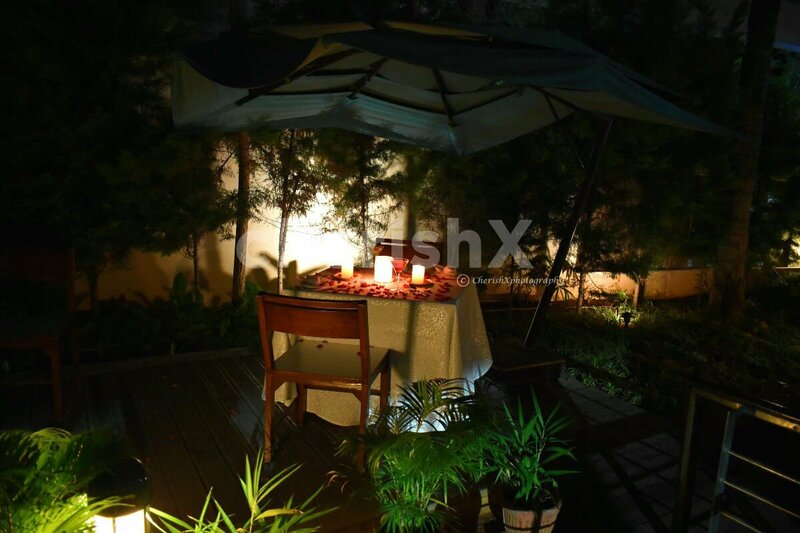 The dinner canopies stand amidst manicured lawns with well maintained Ivy and ferns growing through the crevices of the stone path. 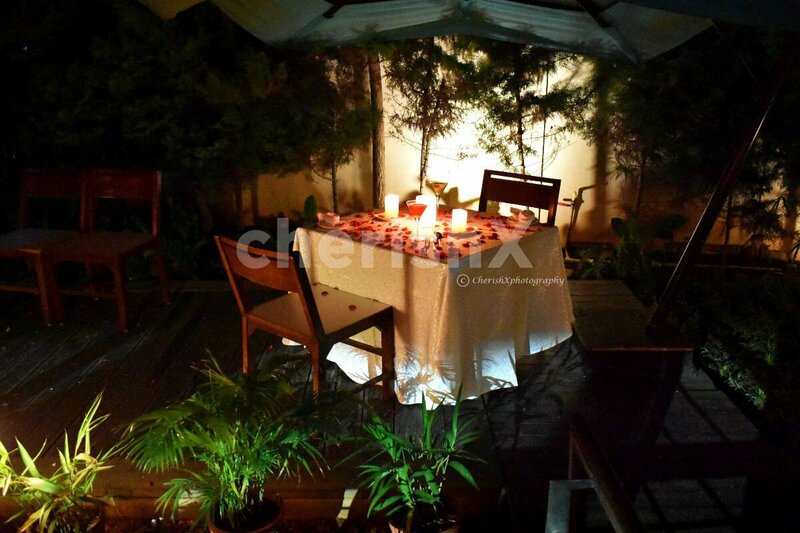 This modish and sophisticated setting is sure to set the mood of your Valentine's evening. 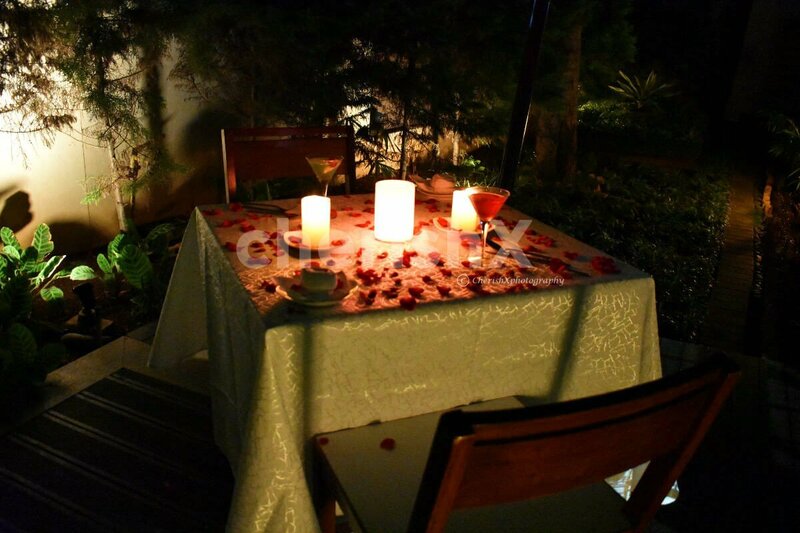 Since the occasion is special and comes only once a year, you will be seated at a beautifully decorated table with divine smelling flowers and candles that make for a perfect Valentine's dinner date. Add to that the quick service at the Grand Mercure is another reason to dine here. The buffet is served at tables and you have a private butler at your service all the time. 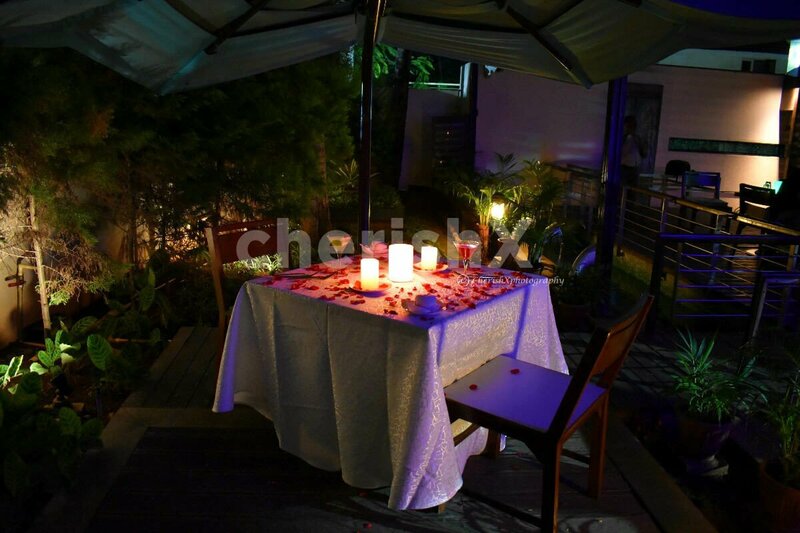 The special handcrafted food, mouth watering dessert, the open and lush green surroundings and the beautiful teak wood furniture, nothing could be more romantic, more in sync with the wonderful theme of the day of love! The place is going to make you fall in love again. To make this Valentine's day truly fairytale-like, you can add interesting customisations like a private guitarist, a delicious cake, a beautiful bouquet of blooming flowers, and much, much more! 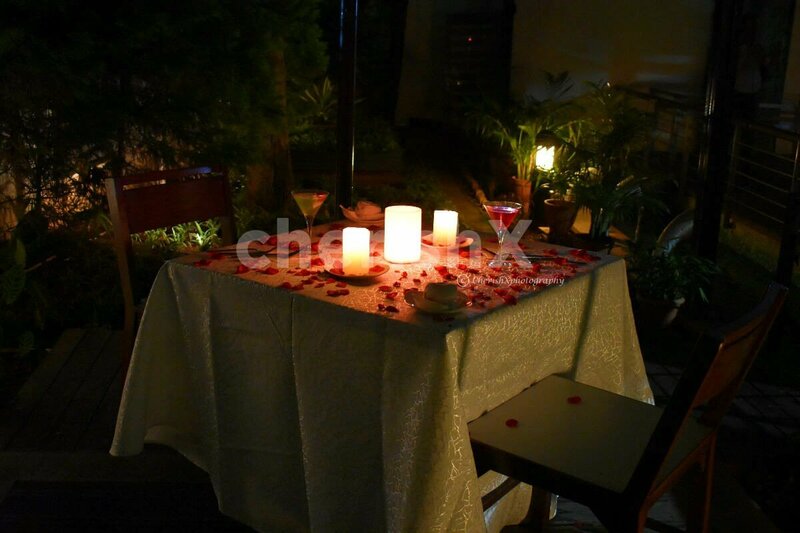 Surprise your loved one with this beautiful dining experience and make 14th of february an absolutely unforgettable day for them. Unlimited imfl for 2 hours. Brands like black dog, Smirnoff etc.